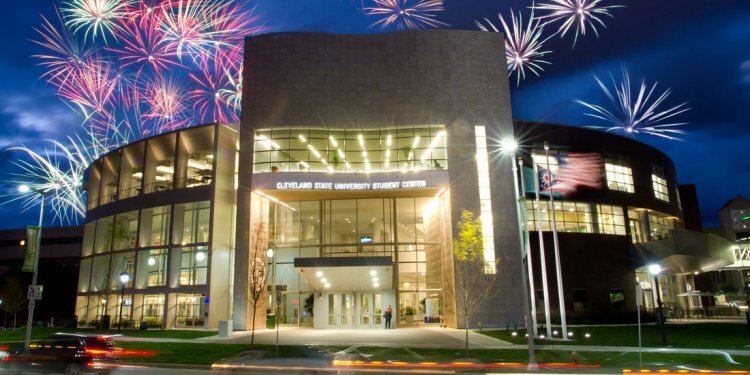 I joined Cleveland State University in 2014 as Director of Talent Development and I currently serve as the Interim Director for the Office of Career Services. My career background has focused on organizational development with extensive experience in training development and career coaching using appreciative inquiry. Previously, I served at Case Western Reserve University in several leadership positions including Associate Director for Programs and HR Training Manager where I was responsible for designing and delivering professional development programs, training sessions, and workshops. Prior to that, I was an organizational development professional for University Hospitals where my role included facilitation of the strategic training direction for 200+ employees and change management efforts for new business acquisitions and physician engagement activities. Formerly known as the Career Success Network, our office re-aligned recently to the Division of Student Affairs and was rebranded as Career Services to reflect our true service mission. Career Services continues its traditional offerings like career counseling, resume assistance, and career fairs while we also aim toward more widespread presence across campus and a stronger emphasis on connecting students directly with employers for career placement. Along with our student services, we serve employer needs. Employers no longer concentrate their recruitment activities on individual openings or departments. They now streamline their recruitment to add efficiency. We see more and more employers using HR Generalists to recruit on behalf of the needs of the entire organization at once. To build stronger relationships with these employers, we created a network of Career Liaisons. These members of CSU faculty and staff provide expertise and resources from within the respective Colleges to help us make stronger connections between employers and our CSU students seeking career, co-op, or internship placements.